When it comes to talking about Super Bowl Rings of NFL champions gone by, we think of great teams. Yet within each team, there are individuals who have their own story to tell. If becoming a champion is the crowning jewel for a lifetime achievement then how monumental is the chase itself?? 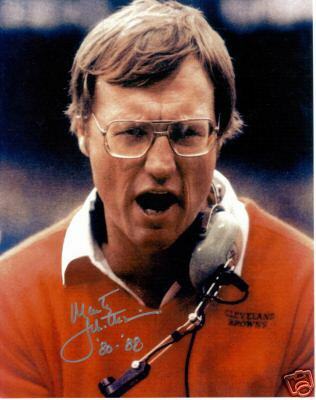 Enter Marty Schottenheimer and the 1987 Browns. 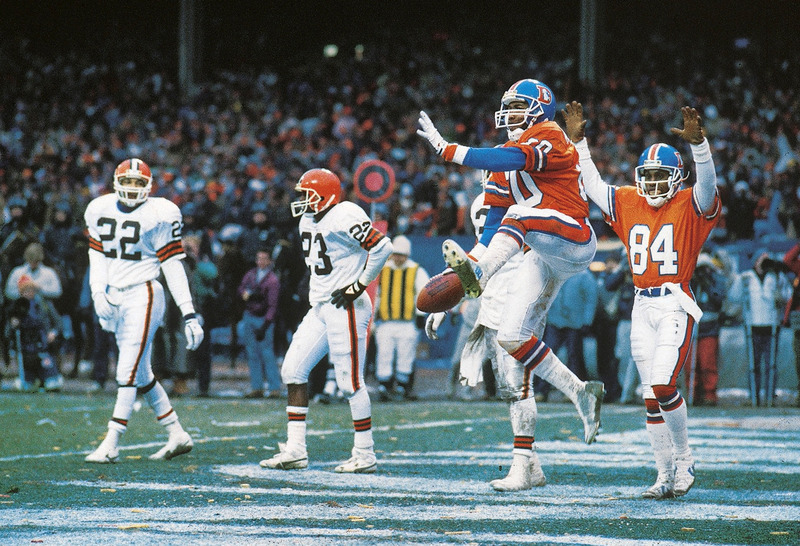 Mark Jackson celebrates the touchdown at the end of “The Drive”in the ’86 AFC Championship Game. It all began on a dark foreboding afternoon on January 11, 1987 in the 1986 AFC Championship Game. After holding the Denver Broncos to only 216 yards of offense and 13 points in the first 55 minutes of the game, scored to take a 20-13 lead, then pinned the Broncos to their own 2 yard line after the kick. The crowd was rocking as Browns fans were throwing confetti and were just a series or two away from Super Bowl XXI. Decades of NFL futility were about to come to a close as John Elway and the Bronco offense took the field. Yet in one of the NFL’s greatest ever playoff drives, John Elway drove the Broncos 98 yards to the tying touchdown. Then the game winner in overtime. The 23-20 thriller ended a season that had been the most accomplished in the modern history of the franchise. In 1985, the Browns were a limited team that was easing their prized rookie quarterback, Bernie Kosar, into the game plan. This earthbound run oriented outfit was the first division winner in NFL history with a .500 record. Both Earnest Byner and Kevin Mack rushed for 1,000 yards during the season. These shortcomings came back to haunt them in a 24-21 loss to Miami in the playoffs. A game in which Cleveland was up 21-3 at one point. Once the Dolphins focused on the ground game, Kosar was ineffective in his first road playoff game. So in 1986, third year Head Coach Marty Schottenheimer brought in passing guru Lindy Infante to open up the offense and personally develop Cleveland’s kid quarterback. Kosar developed into an upper level quarterback throwing for 3,500 yards and 17 touchdowns. Along with the Dawg defense they paced the conference and wrapped up home-field advantage with a 12-4 record. As the playoffs neared, pundits were mixed with what they expected of Bernie. Although he finished with the NFL’s lowest interception ratio per pass attempt, many felt a 23 year old quarterback would fold under pressure. In the AFC divisional playoff contest with the New York Jets, Kosar completed 33 of 64 for an NFL playoff record 489 yards in a come from behind 23-20 win. The game went to double overtime before Mark Moseley kicked the Browns to a victory. Then came the loss to Denver and depression set in state wide. It wasn’t the fact the Browns lost, it was the heartbreaking way they lost it. Yet with a developing quarterback and one of the AFC’s best defenses, they vowed to make amends the following season. Going into 1987, Cleveland started tinkering with their defense. They parted ways with high profile linebacker Chip Banks and altered their 3-4 defense in the early portion of the season. 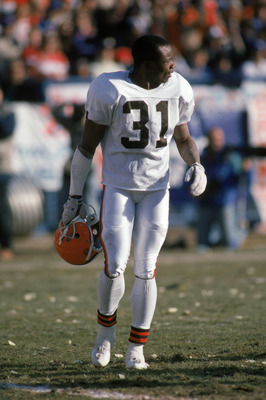 With two Pro Bowl cornerbacks in Frank Minnifield and Hanford Dixon, the Browns could go man to man against anyone. Results were mixed as Cleveland had issues rushing the passer. Minnifield and Dixon started in the Pro Bowl for the 2nd straight year, so coverage wasn’t the issue. The offense continued to diversify as Kosar elevated his game to a higher degree. In 1987 he had the second lowest interception percentage of all NFL quarterbacks (2.3%) as he threw for 3,033 yards, 22 TDs with only 9 interceptions. His 62% completion percentage (241 of 389) was among the best in pro football. Although he was a bit awkward as a quarterback he started to win some acclaim. He made the Pro Bowl and was voted the People’s Choice MVP that year. Keep in mind these numbers came from only 12 games thanks to the players strike that year. He still had future Hall of Fame TE Ozzie Newsome to go with his receivers Webster Slaughter (47 rec./ 806yds / 7 TDs) and Reggie Langhorne. However third receiver Brian Brennan (43 rec/ 607 yds / 6TDs) out of the slot was Wes Welker before Wes Welker. Running backs Earnest Byner and Kevin Mack were no longer the 1000/1000 tandem. Mack was the straight ahead freight train and Byner became a combination runner and receiver out of the backfield. 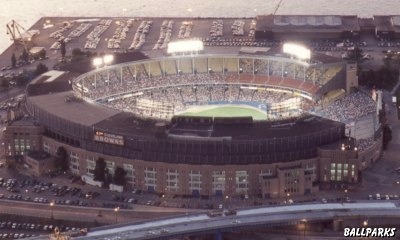 Ancient Cleveland Municipal Stadium was remembered fondly by those from Ohio. Yet to the outside world it was an antiquated unattractive place. To the casual football fan this team was put together in a hodge-podge sort of way. Very few of the Cleveland Browns were blue chip players. Kosar and Mack were supplemental selections. Inside Linebacker Mike Johnson and All Pro Cornerback Frank Minnifield came from the USFL. Spot time starter Felix Wright #22, came from playing several years in the Canadian Football League. The year before, the Browns brought in former Ohio St alums LB Anthony Griggs and SS Ray Ellis. Each of which were let go by the Philadelphia Eagles when Buddy Ryan took over. Starting DEs Al “Bubba Baker” was a former Cardinal and Carl “Big Daddy” Hairston was in his 12th year was a former Philadephia Eagle from an even earlier regime than Ellis and Griggs. Now Pro Bowl Cornerback Hanford Dixon and Pro Bowl Linebacker Clay Matthews were 1st round selections fully entrenched as starters.Yet it was this unlikely group that fought as a unit to bring prestige and respectability to Cleveland. Their stadium was ancient and unattractive when you compared it to other teams around the league. Yet all of this fueled the furnace that was the spirit of those 1987 Browns. It fueled the fans as well. Hanford Dixon coined the “Dawg Defense” and the bleacher zone the “Dawg Pound” and that took on a league of it’s own. People dressed in dog masks, chewing on dog biscuits, throwing them on the field. In fact, in 1989 playing the Denver Broncos, the fans were so rowdy throwing biscuits on the Broncos huddled in the endzone, the referees switched sides. It was the first time in NFL history that had happened. 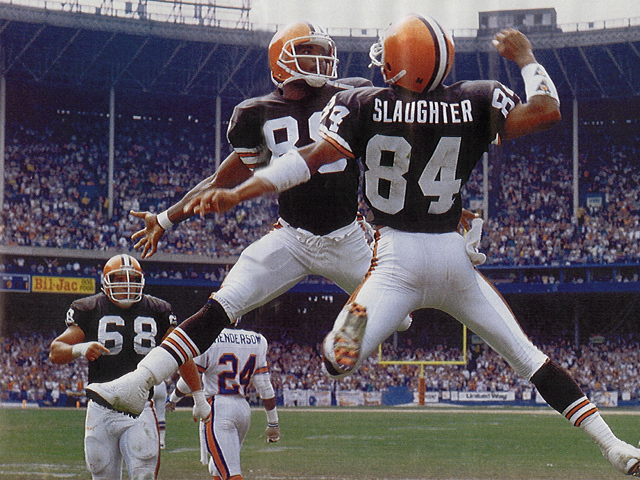 Wide Outs Webster Slaughter and Reggie Langhorne embodied the spirit of the Browns of that era. After posting a 10-5 record and winning the AFC Central, the Browns beat Eric Dickerson’s Indianapolis Colts 38-21 to set up the rematch they had waited for all year with Denver. This time the AFC Championship would be held in Mile High Stadium. Yet the Browns didn’t care. They had to exorcise the demons from “The Drive” and losing the AFC Championship the year before to the Broncos. When in fact it was a morality play when you thought of the two cities and the two teams. Cleveland was the unattractive “Mistake By the Lake” and Denver was the sprawling western urban city with mountains to ski off in the distance. Even the quarterbacks took on the embodiment of their towns. John Elway was the prototypical glamour quarterback. First round draft pick with a rocket right arm who was on the cover of magazines and gained much of his fanfare from the previous year’s championship game. Where Kosar was the physically awkward antithesis to Elway’s athleticism, he didn’t have John’s polished ready for television demeanor and looks either. However there was an assassin beneath the surface. This was the kid who won the 1983 National Championship at the University of Miami (The [[_]]) as a redshirt freshman. The 31-30 upset of the #1 ranked Nebraska Cornhuskers that were averaging 52 points a game. So Kosar didn’t shrink under intense pressure. How about the Head Coaches?? Well in one you had the polished, always in a shirt and tie Dan Reeves v. the bland “V-Necked”sweater or brown overcoat wearing Marty Schottenheimer. Reeves came up as a golden child on one of the NFL’s glamour teams playing for Tom Landry’s Dallas Cowboys. Then coming up through the coaching ranks and winning a ring as a coach (Super Bowl XII) just as he had as a player in Super Bowl VI. He was a highly sought coaching commodity when Denver hired him in 1981. Schottenheimer?? He had been a back-up linebacker and special teams player for the Buffalo Bills over in the “other league” known as the AFL. He had been a mid-season replacement for embattled coach Sam Rutigliano for whom he coached the defensive backs in 1984. In ignominious fashion it was his secondary who gave up one of the Browns biggest gaffes ever in 1980 when they allowed a Hail Mary to Ahmad Rashad in the final seconds to the Minnesota Vikings. In short Cleveland was the antithesis of everything they felt the Broncos were not. Gritty, tough, fighting for respect from the establishment. It tapped into the inferiority complex of the Browns fans and together they lived with the pain of “The Drive” from 1986 ripping at their souls. As for the ’87 AFC Championship?? The largest come from behind game in NFL postseason history was the 20 point comeback by the 1957 Detroit Lions in a 31-27 win over the 49ers. At least up until that time. That was against a 49er team that couldn’t win the big game. This comeback by Cleveland, down 18 twice, was performed against the team with the best home record of any NFL team (75% 1960-1987) during those years. Against the backdrop of the emotion from the previous year?? It was the epitome of a never say die attitude that should be taught to kids everywhere. To have such a monumental performance come up short like that doesn’t take away from it’s brilliance. Earnest Byner had rushed for 67 yards and caught 7 passes for an additional 120 and 2 touchdowns. Did you know this was only the 2nd time a team scored 30 points in any NFL championship game and lost?? The Browns scored 30 in just the second half!! They were down 21-3 at the half and lost 38-33. We’re talking 178 games of AFC /AFL Championships, NFC / NFL Championships and Super Bowls. The other times came when Dallas lost Super Bowl XIII to the Pittsburgh Steelers and when the 49ers lost XLVII to the Baltimore Ravens. Yet the overwhelming feeling after Byner’s fumble was the best team didn’t win that day. All the media talked about was John Elway who passed for 14 of 26 for 281 yards 3 TDs and 1interception. When the best player on the field that day was Bernie Kosar who threw for 361 yards (26 of 41) for 3 TDs and 1 pick. Which was the record for any championship quarterback playing on the road. Browns fans had to watch in disbelief when Washington blew out the Broncos 42-10 in Super Bowl XXII knowing their team was better. In fact the following year Cleveland won in Washington 16-10 on the road to knock them out of playoff contention in 1988. So could they have beaten them in a Super Bowl?? Probably. The year before when they lost “The Drive” to the Broncos, they had to watch the Giants pull away from the Broncos 39-20 in Super Bowl XXI. 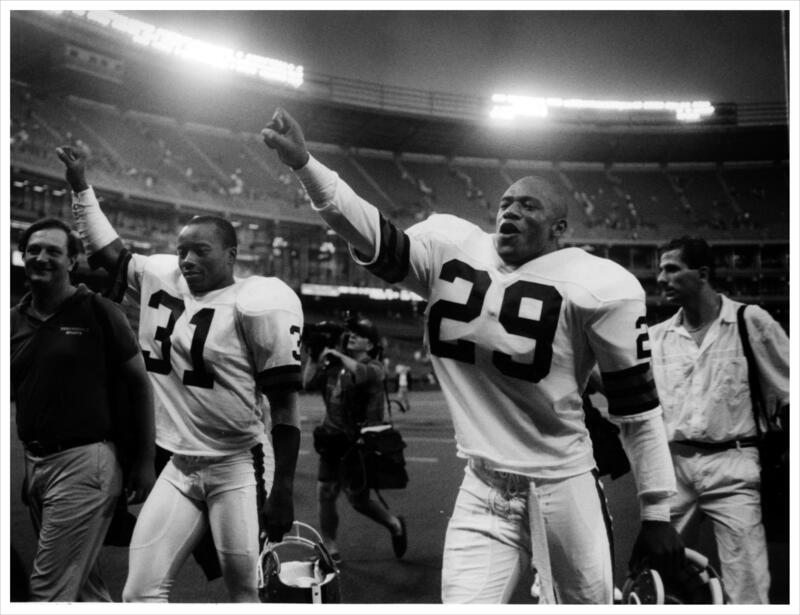 In 1985, the Browns beat the Giants 35-33 in the Meadowlands in the 13th week. Are we sure the Giants would have won at a neutral site Super Bowl?? Remember we’re talking about a pre- free agency NFL back then. However for one magnificent evening, Marty Schottenheimer and the Cleveland Browns taught fans everywhere a lesson in not giving up. Working your way out of a hole borne from self induced mistakes and putting on a Herculean effort that shouldn’t be forgotten. From 1970-1985 there was the “Three Rivers Jinx” where the Browns lost 16 straight against their division rival Pittsburgh. With Dixon and Minnifield’s rise to prominence, the Browns won four straight until they were broken up as a tandem. We have always believed that some of the greatest NFL stories have been left on the cutting room floor when it comes to players that didn’t play for the glamour teams. Such is the case for the best cornerback tandem in modern NFL history. During this offseason of condensed free agency, when it appeared Namedi Asoumgha might wind up with Darelle Revis to form the best conrerback tandem in decades. We had thoughts and images of Frank Minnifield and Hanford Dixon dancing in our heads. They were the best tandem in league history and yes better than Lester Hayes and Mike Haynes of the Los Angeles Raiders. Dixon and Minnifield starred and went to Pro Bowls together for 3 seasons. The most in NFL history. The Hayes / Haynes connection really was half a season, or at least it’s zenith. Alright they did have a good 1985 but what happened in 1984?? Haynes joined the team in week 6 of 1983, and played on through the season but look up the Raiders 1984 statistics on defense after Super Bowl XVIII, abysmal. The Raiders were 25th against the pass in a 28 team league. Case and point Dan Marino threw for his 37th TD to break the all time touchdown record for a season and went on to throw for 470 yards and 4 TDs on them. They got scorched … Mark Clayton almost put up 200 on ’em…yet we digress. No one put yards on these two like that during their years together. Yet they don’t get their just due for being the terrific tandem that they were and should be receiving more looks when it comes to Hall of Fame Consideration. From 1986-1988 these two Cleveland Browns were your Pro Bowl Starters for the AFC in Honolulu Hawai’i. Understand that this was the heydey of the AFC Central as well. Of course Steeler fans will disagree but this is where the entire division reigned near the top of the AFC as a whole. From 1986-1989 there was an AFC Central team in the AFC Championship Game all four years. The Browns in 1986 and 1987, the Bengals made it to the Super Bowl in 1988 and then the Browns returned in 1989 to the title game. Throughout the division there were stellar receivers in Louis Lipps / John Stallworth of the Steelers, Ernest Givins, Haywood Jeffires, Drew Hill of the Houston Oilers, then Tim McGhee, Cris Collinsworth, and Eddie Brown (The [[_]]) of the Cincinnati Bengals. Dixon and Minnifield kept them under wraps throughout this era. In fact, in 1986 the only receivers that topped 100 yards against them was Chris Burkett of the Buffalo Bills and Wes Chandler of the San Diego Chargers. Burkett’s numbers were strengthened by a 75 yard TD while Chandler piled up yards in garbage time during a 47-17 loss where many Browns starters were pulled during the finale. They had wrapped up homefield advantage and were in the midst of a celebration. In fact during the AFC Divisional Playoff double overtime win against the Jets, in 6 quarters, Dixon and Minnifield covered Al Toon and Wesley Walker so tight the Browns produced 9 sacks. An NFL playoff record. Neither receiver went over 100 yards and the touchdown that Wesley Walker scored was on a flea flicker and the safety had coverage. In ’86, Dixon gathered in 5 interceptions, while Minnifield picked off 3 on their way to their first Pro Bowl together. Along the way they shut down the prominent receivers in their division, Mark Duper and Mark Clayton, who both made the ’86 Pro Bowl, and future Hall of Famer James Lofton. None of which gained over 100 yards against them and by the way…. Duper (1,313 yds 11TDs) and Clayton (1,150 yds 10TDs) battled Dixon and Minnifield on a Monday Night and these two Browns gained the country’s attention and respect with that performance. In 1986 Dan Marino threw for 44TDs and over 4,700 yards…so he was at his zenith. This was the second time, going back to the previous season’s 21-20 playoff loss to the Dolphins that they did this to Miami. 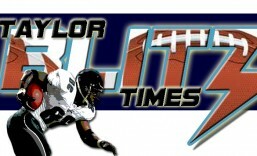 In the playoff loss in 1985, Duper never caught a pass and Mark Clayton only caught one!! And that game was in Miami!!! So they came in with something to prove and got shut down again. So here comes the most misreported fact in NFL history, The Drive, during the ’86 AFC Championship Game. Keep in mind that Denver only had 216 yards for the game on offense going into that famous last drive. Erroneously and without fact checking these two get blamed for this loss when only 1 pass to Steve Watson at the 2 minute warning at midfield was thrown in their territory. The Brown’s Dave Adolph opted to go into a zone and the main passes thrown by John Elway was a pass over 20 yards to Steve Sewell, a running back going up the seem into Chris Rockins territory. The other was a pass on 3rd and 17 where Mark Jackson who started on Dixon’s left side cut into an opening on a zone in front of the safety. They were just well executed plays. Throw in 2 scrambles by Elway for first downs because the Browns coverage forced him to and a screen pass to Steve Sewell and they were now at the 5 yard line. Again down in the red-zone, the Browns were in a Nickel zone facing a multiple receiver set. They ran a scissors route and threw the ball inside Nickelback Mark Harper to Mark Jackson for the tying touchdown. Now where was it these two failed to deliver?? Who were these two?? Well you had Hanford Dixon, who when he came into the league might have been the fastest cornerback in football. The Chancellor first caught wind of him when he chased down Buffalo’s Joe Cribbs enroute to a 60 yard touchdown in 1981 as a rookie. Dixon had been blocked and Cribbs had a 15 yard cushion when this flash of brown and orange tracked him down like Darryl Green on Eric Dickerson. He didn’t prevent the touchdown but he had speed to burn as a young player as that play signified. Dixon was drafted out of Southern Miss in the 1st round and developed into a top flight man to man cornerback who lined up right in a receivers faces. He was the taller of the two at 5’11 and 186 lbs and was as fluid an athlete that has played corner in the NFL. He could turn and run with anybody that got through his “strike” off the line of scrimmage. He was as effective as a Lester Hayes and had his best year in 1987 when it was recorded that only 7 passes were thrown his way the entire year. He was first team All Pro in 1987 which was the middle year of their 3 year run as well as Pro Bowl teammates with Minnifield. Hanford “Top Dawg” Dixon one of the all time great cornerbacks. Mighty Minnie?? Yes that was the nickname for Frank Minnifield on the poster that had he and Dixon atop the roof of the Cuyahoga County Courthouse that sold all over Ohio. Top Dawg and Mighty Minnie were their nicknames. Hanford was the one that coined the phrase “Dawg Defense” during the off-season to motivate the defensive line during training camp in 1985. It caught on full fledged in 1986 so he earned that nickname. Minnifield was the harder hitter of the two. Frank Minnifield was the shorter of the two at 5’9 180lbs, and had calves as large as his thighs. He had an unbelievable verticle jump as did his brother Dirk Minnifield who starred at the University of Kentucky and later played for the Boston Celtics. 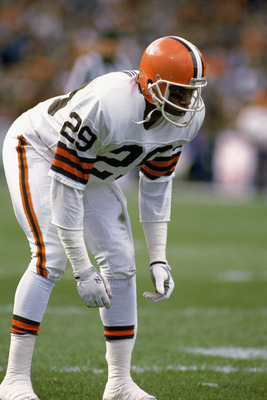 Frank played at the University of Louisville and joined the Browns after a 2 year stint in the USFL. He was voted All Pro in 1987 & 1988 and was voted to the Pro Bowl 4 times 1986-1989. In fact it was his 1988 season that was in our estimation the greatest season by a cornerback in NFL history. With injuries to the Brown quarterbacks that season, the defense had to bear the brunt of the work. In that crucible and facing future Hall of Famers Art Monk, Steve Largent, and ’88 Pro Bowlers Eddie Brown (1,273 yds/9TDs), Mark Clayton (1,129 yards / 14TDs), Drew Hill (1,141 yards /10TDs), Al Toon (1,067 yards /5TDs), J.T. Smith (986 yards / 5TDs) and Andre Reed (968 yds / 5TDs) Minnifield in 11 of 17 games against this top competition allowed ZERO touchdowns all season. An incredible performance. He allowed ZERO touchdowns for the entire 17 game slate. Unfortunately all good things come to an end and the Browns window to the Super Bowl shut without their having earned the trip. They played in 3 AFC Championship Games in four years but came up short. In all actuality, they were a real good team who almost stretched it to greatness based on the exploits of two tremendous cornerbacks who masked other Brown defensive deficiencies. For their careers Dixon was a Pro Bowler on 3 occasions and Minnifield 4, and each were 1st team All Pro Once. They were intimidating and could cover the field and as a tandem were the best ever. How good would the Cleveland Browns been without them??? 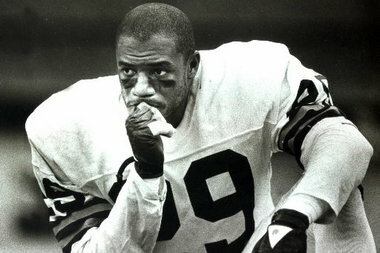 How much better would the Cleveland Browns had been had Safety Don Rogers not died from a cocaine overdose the week after Len Bias in summer of ’86?? Below is the middle of their 3 year run in Honolulu when they were the 1987’s All Pro cornerbacks.